Smartphones are here, there, and everywhere these days. And the number of people performing searches via their mobile devices is also going up and up. That combination is good news for businesses. By 2018, BIA/Kelsey estimates that mobile search will generate 73 billion calls to businesses annually, up from 30 billion in 2013. Today, the ever-growing popularity of mobile search is also writing a new chapter in the mobile marketing playbook: the adoption of phone calls as a legitimate and worthwhile channel for paying advertisers. Since smartphones added click-to-call functionality in 2010, pay-per-call advertising has been making its mark as a lead generator. According to Google, 70 percent of people leveraging mobile to search have used the click-to-call button to directly reach businesses from their results. And 61 percent of people using mobile devices to conduct search say that click-to-call availability is the most important phase of the purchasing process. 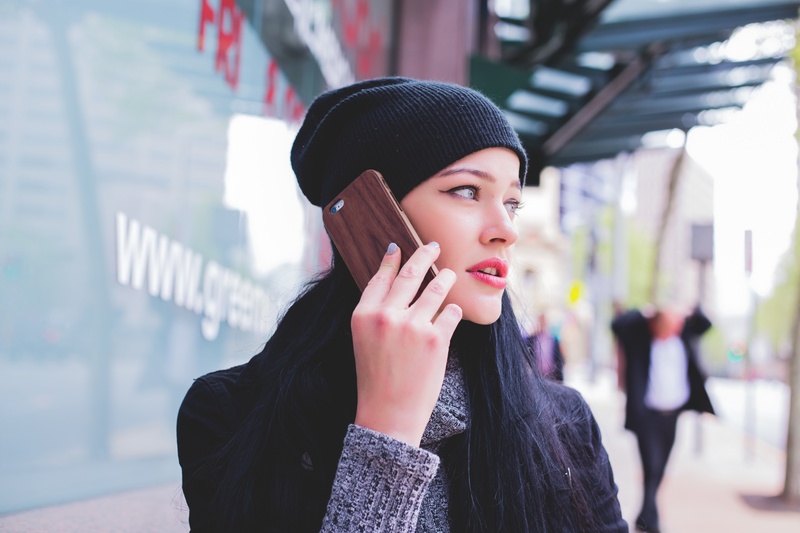 No doubt more and more small and medium-sized businesses (SMB) are embracing the importance of phone leads: 66 percent of SMBs say a phone call is the single most important lead they can receive, according to Soleo. Setting up a pay-per-call advertising campaign is relatively easy and, oftentimes, businesses are only billed for calls lasting a predefined period of time. According to Soleo, 31 percent of consumers will call a business when they are interested in making a purchase or transaction. Hyperlocal vendors are also getting involved in this channel, according to Street Fight, by providing local businesses with analytics to measure ROI and gather insights about incoming calls from prospective leads. By using multiple tracking numbers and advanced call-analysis tools, businesses are able to see which marketing campaigns are driving the most traffic and what actions they may need to take to turn more leads into sales. Also, surveys consistently prove that consumers calling a business are most interested in “high-consideration” items. In other words, the average price point of a lead generated through a pay-per-call advertising campaign is higher than competing mediums. If you are not able to convert your calls to sales, the ROI for this channel inflates in a hurry. On that note, make certain that your business is ready to seamlessly field a potential upswing in call volumes while, at the same time, providing customer service that reflects positively on your brand. The share of overall mobile ad revenue attributed to location-based campaigns is expected to grow to $10.8 billion in 2017. Translation: ROI metrics and program analytics are more important than ever. According to data from both BIA/Kelsey and Soleo, pay-per-call advertising improves ROI by deploying advertising budgets more effectively. Using pay-per-call, you bid only what you want to pay for an incoming call and then pay only when you receive a qualified lead, making it a more focused approach than many other advertising channels. Also, as previously mentioned, vendors in this market are providing local businesses with decision-making analytics that they can use to measure ROI as well as to gather insights into incoming calls from prospective leads. Seventy-percent of individuals performing online searches via their mobile devices act on their search results within one hour and, when it comes to making a sale, phone calls close at a rate ten-to-fifteen percent higher than online leads, according to Invoca. Geo-location is playing an increasingly important role in pay-per-call ad campaigns as technology finally catches up with potential. Businesses first begin by partnering with vendors offering geo-location services in order to fine-tune their campaigns to reach consumers who are physically located within a close proximity to their stores; in most cases, SMBs may select how close consumers need to be to view their ads. In a nutshell, location-based mobile search drives high-value calls that are ready to convert because smartphone users who are nearby a business are more likely to complete a transaction or visit in person. When designing a pay-per-call ad campaign that includes location-based elements, remember to include some type of call-to-action in your ads (e.g., a button that says, “Click here to speak to a salesperson”). At the same time, remember to also include relevant demographics like age and personal interests when reaching out to customers and potential customers. Dayparting is the practice of running pay-per-call ads at specific times of the day, or on specific days of the week, to more effectively reach your audience. This is important because, according to Soleo, matching your offer to a relevant time of day leads to higher conversion rates (e.g., a campaign for a movie theater may be more effective in the late afternoon and evening than first thing in the morning). Consumers are more willing to complete higher-value transactions by telephone than online, in part because the interactions that they have with businesses are more personal. People enjoy talking with people and customers feel better about making significant purchases when there is a knowledgeable human being fielding questions about a particular product or service.